When you are arrested for DUI in California, your license is automatically suspended unless you request an Administrative Per Se (APS) hearing with the California Department of Motor Vehicles to challenge the license suspension. If you lose the APS hearing or do not request one, the DMV requires an SR-22 certificate of insurance when your driving privilege is reinstated after the suspension. If you’re arrested for DWI in southern California, you have ten days to request the APS hearing. Contact an experienced Orange County DUI attorney to request that hearing and represent you there. You’re also going to need that attorney’s help with the original DWI charge, so make the call promptly. An SR-22 certificate of insurance is proof that you have met California’s minimum requirements for auto liability insurance. The form is provided by your insurance company as proof of your financial responsibility as a driver. If your license is suspended, after a certain length of time (which depends on the details of your DWI case), you may qualify for a restricted driver’s license. The restricted license permits you to drive to and from work, school, court, and any classes or counseling you’re ordered to attend. The DMV does not approve a restricted license unless you register for and participate in an alcohol education program, pay a reissuance and restriction fee, and file an SR-22, which must be maintained for three years after a DUI-based license suspension. 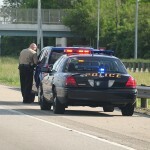 After a DUI arrest, you may not be able to obtain an SR-22 from the company that’s currently insuring you. Other companies may issue the SR-22 but raise your premium and deem you a “high risk driver.” If your insurance company drops you or you fail to maintain the SR-22 for a full three years, the company will notify the DMV and your license will again be suspended. 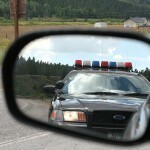 If you are arrested for DWI in southern California, do not try to act as your own attorney. California DWI laws are complicated, with many technicalities, so you need a lawyer with substantial experience in DWI cases and Per Se hearings. If and when you face a DWI charge in southern California, get legal help immediately by contacting an experienced Orange County DUI attorney.